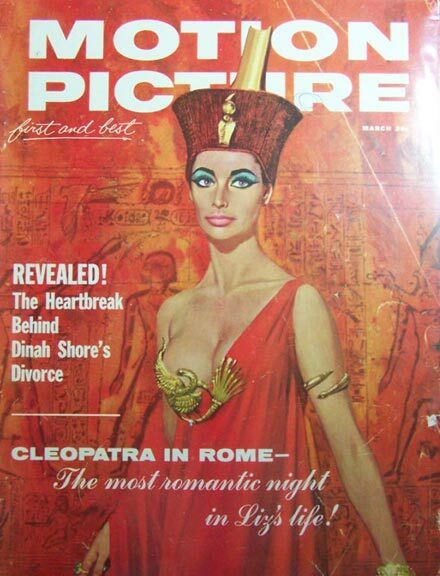 This is supposed to be Elizabeth Taylor...looks like Sophia Loren. 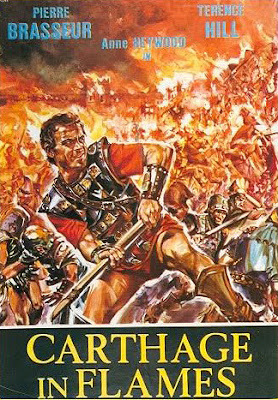 Video cassette cover for CARTHAGE IN FLAMES is really deceptive. Yes, Terence Hill is in it but his role is minor. By looking at this you'd think the film was an all out action film not the moody epic that it is. 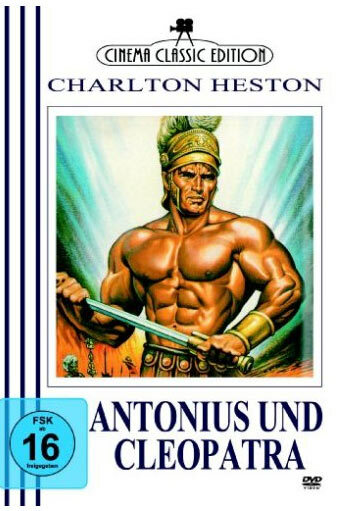 Guaranteed that anyone who rented this because of the cover was disappointed by it. Definitely Steve Reeves' face in number one but, hey, even SR never looked that amazing (and I think I liked it better how he actually looked). Also got SL out of number two. Kinda bizarre, when ET was herself so amazingly beautiful (not the SL was any slouch). Lest we forget, is it GORDON MITCHELL or MITCHELL GORDON, the latter appearing in the credits of ATLAS IN THE LAND OF THE CYCLOPS!